After upgrading or installing Windows 10 on any Windows computer/Laptop, there is always a chance of facing any kind of issue. “No internet secured” is one of the common error that appears when the user tries to connect their system with the available wi-fi network. After connecting to any wireless network the system displays no internet error. If you are suffering from Wi-Fi Connection Error “No Internet, Secured” and want to fix “no internet error” then don’t worry as this blog contains the complete guide to getting rid of “no internet error” or “No internet, secured” error message. This issue is a little bit different from other internet problems. In this issue, you can easily connect your system or laptop to the wi-fi network, but there is no active internet connection available there. The “No Internet, Secured” Wi-Fi Connection error can appear on every Windows 10 device in spite of its basics, software or old. Generally, it has been seen that this issue tends to appear just after installation/upgrade to Windows 10. “No Internet, Secured” Wi-Fi Connection error doesn’t occur because of the wrong wi-fi configuration but because of the DNS problem, the system can display such error message. Along with the Windows 10 systems or laptops, the Windows 7, Windows 8/8.1 systems can also display such error. 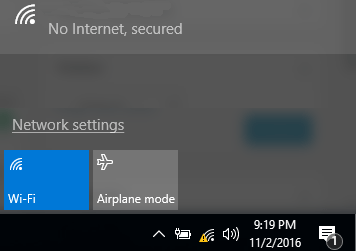 Top 3 Tricks to Repair Wi-Fi Connection Error “No Internet, Secured” on Windows 10? 2: Search for Change adapter options, this option is generally available at the down of the window so scroll down to find it. After finding click on it. 3: Open properties of the Wi-Fi adapter by right-clicking on it and choose Properties from the cascading menu. 4: Now, click on the Configure and then open Advanced tab. 5: Choose HT Mode and alter its value to HT Mode 20|40. After modification, click on OK to save the recent changes. 6: After completion, try to connect to the Internet. If all the steps are executed properly then the error “No Internet, Secured” will get fix, if you are still getting this error then apply the next trick. Sometimes because of the broil or outdated Wi-Fi driver can generate this type of issue on Windows 10. So it is recommended to make sure that your system’s Wi-Fi adaptor diver is ok and updated. If not then you need to update them either manually or with the help of a professional Windows 10 Driver Updater tool. 1: Right-click on the My Computer and choose Device Manager. 2: After it, click on the Network adapters and find the Wi-Fi adapter you are currently using. 3: Right-click on it and select Update driver software. Simply download, install and run a professional Driver Updater tool. It will automatically update all the outdated drivers, fix broken drivers and more. 1: Go to the search box and type troubleshooting. Choose to troubleshoot from the displayed search results. 3: Now, click on the Next and follow on-screen instruction to troubleshoot “No Internet, Secured” Error in Windows 10. Step 1: Open the run dialogue box (Press Windows key R). In the run box, type “ncpa.cpl” without the quotes and hit the Enter key. Step 2: You will see the “network connections” Window. Step 4: Now you have to make sure that the following options are checked. Step 9: Now, try to connect to the Wi-Fi connection again. Step 1: Open the run dialogue box (Press Windows key R). In the run box, type “ncpa.cpl” and hit the Enter key to open up the “network connections” window. Step 4: After it, click on the “advanced” button. Step 5: Then, navigate to the “WINS” tab and scroll down to NetBIOS setting and select “enable NetBIOS over TCP/IP” setting. At last, click on the OK on all the dialog boxes. 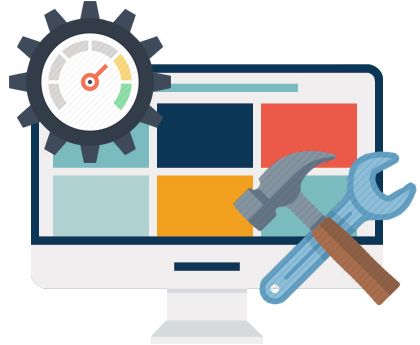 It is hoped that after applying the above given fixes now your PC is connected with the internet and wifi is working well. All of the solutions are effective and hence able to get rid of Wi-Fi issues without calling any professional or paying a single penny. After fixing this issue, it is recommended to run a full scan with the help of a professional PC ERROR REPAIR tool. This is the only tool that with assist you to make your system error free. It will scan your entire system and remove all the errors present on your computer. 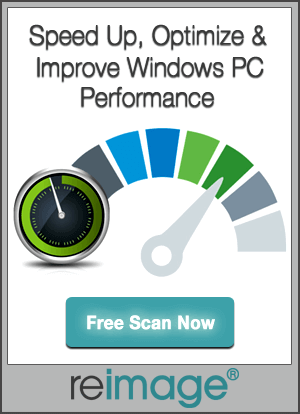 This tool can also boost the performance of your Windows computer or laptop. Fix Wi-Fi Connection Error “No Internet, Secured” with the help of given tutorials. Simply follow the steps and Fix Wi-Fi Connection Error.